Tilt EQ is a free VST Plugin to achieve a linear tilt function with a single knob. 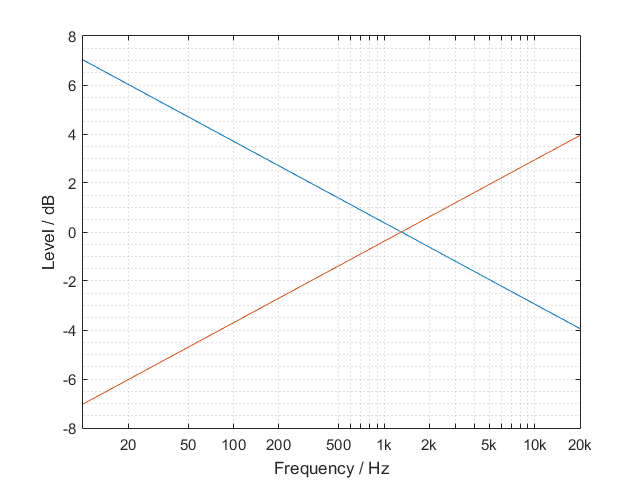 This way the spectral balance of audio material can be changed very easily without introducing colouration. The center frequency of the tilt function is 1300 Hz. 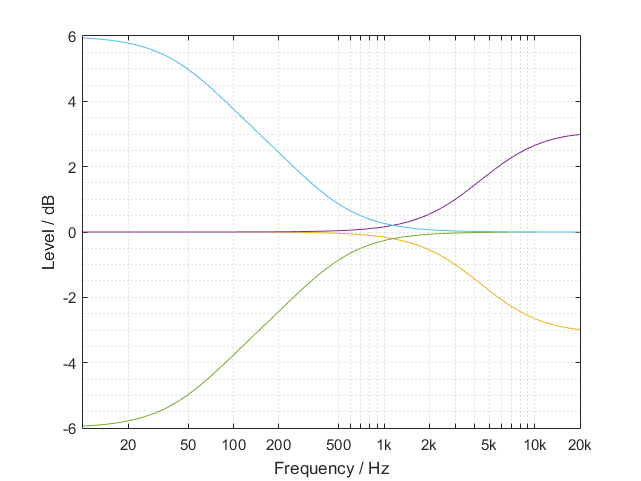 Tilt EQ is based on FIR filters that can be either linear or minimum phase. Traditional minimum phase shelving IIR filters also have been implemented in order to allow further adjustments. The following graphs show second order shelving filters in comparison to the FIR approach with linear slope. The tilt of the slope can be set by the linear tilt knob. The steepness of the slope is given in dB/oct. For windows you may need to install Microsoft Visual C++ Redistributable für Visual Studio 2017, which is available at https://www.visualstudio.com/de/downloads/ at the bottom of the page. TiltEQ for MAC requires at least Yosemite (OS-X 10.10). This is a great plugin… sounds very good and makes toneshaping fast & easy . Thanks for a wonderful plugin. I really find tilt EQ’s very useful and this one with the additional options along with being based on curves which are not baxandall make it even more intriquing. Really look forwards to trying this out within the context of a mix when I am able to do Matthias.